设想了用于计算系统共享高速缓冲存储器中的数据分配的系统和方法。 Systems and methods are contemplated for computing the shared data distribution system in the cache memory. 共享的集关联缓存的每一个缓存通路都可被诸如一或多个处理器内核、图形处理单元(GPU)、输入/输出(I/O)设备或多个不同软件线程之类的多个源访问。 Set associative cache shared cache for each path may be such one or more processor cores, a graphics processing unit (the GPU), an input / output (I / O) device or a plurality of software threads of different sources like access. 共享缓存控制器基于接收到的存储器请求的对应源启用或禁用分别对每一个缓存通路的访问。 Shared cache controller, respectively, to enable or disable access to the cache for each path based on the corresponding source of the received memory request. 一或多个配置和状态寄存器(CSR)存储用以改变对每一个共享缓存通路的可访问性的编码值。 Or a plurality of configuration and status registers (CSR) for storing changes to a shared cache each passage accessibility code values. 通过改变在CSR中的存储值控制对共享缓存通路的可访问性可用于在掉电序列期间在共享缓存继续运行的同时创建共享缓存内的伪RAM结构和逐步减少共享缓存的大小。 By changing the value of the CSR memory of the shared cache control passage accessibility during power-down sequence may be used to create a shared structure in the dummy RAM cache and shared cache to gradually reduce the size of the shared cache at the same time continues to run. 本发明涉及计算系统，更具体地，涉及计算系统的共享高速缓冲存储器中的数据分配。  The present invention relates to computing systems, and more particularly, to a data allocation shared cache memory in a computing system. 现代微处理器可包括一或多个处理器内核或处理器，其中每一个处理器都能够执行软件应用程序的指令。  Modern microprocessors may include one or more processor cores, or processors, wherein each processor instructions capable of executing software applications. 这些处理器通常是管线化的，其中处理器包括与位于各阶段(stage)之间的存储元件（如寄存器和阵列）串联连接的一或多个数据处理阶段。 These are generally pipelined processor, wherein the processor comprises one or more data processing stages each stage located in series with the storage elements (e.g. registers and arrays) between (Stage) connection. 虽然该管线可分为任何数目的阶段，在所述阶段会执行一部分的指令处理，指令处理一般包括获取指令、解码指令、执行指令以及将执行结果存储到由该指令确定的目的地中。 Although the pipeline may be divided into any number of stages of the instruction processing portion performs the stage, instruction processing generally comprises fetching instructions, decoding instructions, and execute instructions stored in the execution result to the determination by the destination of the instruction. 理想地，每一个时钟周期产生用于管线的每一个阶段的指令的有用执行。  Ideally, each clock cycle for producing useful instruction execution pipeline each stage of. 然而，管线中的拖延（stall)可能会导致无用的工作在该特定的管线阶段进行。 However, the pipeline delay (stall) could result in useless work in that particular pipeline stage. 拖延（通常是多周期拖延）的一个例子是数据缓存或指令缓存的未命中。 An example of the delay (typically a multi-cycle delay) is the data cache or instruction cache miss. 降低性能损失的方法是减少多周期拖延的发生。 Method of reducing the performance loss is to reduce the occurrence of multi-cycle delays. 微处理器可能会耦合到一个层次或多个层次的缓存层次结构，以减少存储器中的用于读或写操作的微处理器的数据请求的延迟。  The microprocessor may be coupled to one level or multiple levels of cache hierarchy, a request to reduce the delay data read or write operation for a memory of a microprocessor. 一般来说，缓存可能会存储一个或多个模块，每一个模块是一份存储在系统存储器中的相应地址的数据。 Generally, the cache may store one or more modules, each module corresponding address data is stored in a system memory. 此处使用的"块（block)" 是存储在连续的存储器位置的一组字节，出于一致性的目的，它们作为单元处理。 "Block (Block)" used herein is a group of bytes stored in contiguous memory locations, for consistency purposes, they are treated as a unit. 此处使用的术语"缓存块"、"块"、"缓存行"和"行"是可以互换的。 As used herein, the term "cache block", "block", "cache lines" and "rows" are interchangeable. 在一些实施方式中，块还可以是在缓存中的分配和释放的单位。 In some embodiments, the block may also be assigned and released in the cache units. 在一个块中的字节数可能会随设计的选择而多种多样，可能是任意大小的。 The number of bytes in a block may be varied with design choice and may be of any size. 作为例子，经常使用32字节和64字节的块。 As an example, 32 bytes and 64 bytes are often block usage. 当太多的块映射到同一个集时，在一个集关联或直接映射的缓存中有冲突或碰撞、未命中发生，因此，在那个集中有一个或多个块需要被抛弃。  When too many blocks mapped to the same set, there is a direct mapped or set associative cache conflict or collision, miss occurs, and therefore, in the concentration of one or more blocks need to be discarded. 一个特定的缓存可能有两个或两个以上使用缓存用于数据存储的源。 A particular cache may have two or more sources using the cache for data storage. 例如，一个或多个处理器内核、一个或多个图形处理单元（GPU)、一个或多个输入/输出（I/O)设备或可存取特定缓存的其他。 For example, one or more processor cores, one or more graphics processing units (the GPU), one or more input / output (I / O) device or other particular cache access. 这些源可能无法平等地分享缓存中的存储资源。 These sources may not be equally shared storage resource cache. 由于源的平均存储器延迟的增加而经历的系统性能下降可能对每一个源是不相等的。 Since the increase in the average latency of memory source system performance degradation experienced by each source it may not be equal. 例如，可能是存储器层次结构中的L2或L3缓存的集关联的共享缓存可以被两个芯片上的处理器内核或内核、图形处理器单元（GPU)和多输入/输出（I/O)设备用于数据存储。  For example, it may be associated with the shared cache memory hierarchy L3 cache or L2 may be set on the processor core or cores two chips, a graphics processor unit (GPU) and multiple input / output (I / O) device for data storage. 要分配空间使新的数据在此缓存中存储，诸如在缓存未命中后的填充缓存行之类典型的缓存实现允许在选定集中的最近最少使用（LRU)通路被替换。 To allocate space for the new data in this cache memory, such as to achieve the selected concentration allows for a minimum recently (LRU) pathway are replaced typical cache fill the cache line or the like after a cache miss. 由于这种分配策略不区分来自不同源的请求，它可能让诸如I/O源之类源占据缓存中的通路的显著部分，这可能是不可取的。 Because of this allocation strategy does not distinguish between requests from different sources, it is possible for such I / O source or the like occupies a significant portion of the source buffer in a passage, which may be undesirable. 现在，内核的数据块可以在这一选择的集中收回，从这降低了由系统中的内核所经历的平均存储器延迟。 Now, the core may be concentrated to recover the data blocks that choice, this reduces the average memory system kernel by the delay experienced. 鉴于以上所述，需要用于计算系统的存储器中的数据分配的高效的方法和机制。  In view of the above, a need for efficient methods and mechanisms for computing data memory allocation system. 设想了用于计算系统共享高速缓冲存储器中的数据分配的系统和方法。  Systems and methods are contemplated for computing the shared data distribution system in the cache memory. 在一实施方式中，计算系统包括一或多个处理器内核以及共享的集关联缓存。 In one embodiment, the computing system includes one or more processor cores and a shared set associative cache. 共享缓存的每一个缓存通路都可被多个源访问，其中多个源被配置为生成存储器请求。 Each shared cache buffer access path may be a plurality of sources, wherein the source is configured to generate a plurality of memory requests. 共享缓存控制器被配置为基于接收到的存储器请求的对应源启用或禁用分别给每一个缓存通路的缓存填充行分配。 Shared cache controller is configured based on the received memory requests to enable or disable the corresponding source are allocated to each cache line cache fill passage. 多个源的每一个源可以是下面中的至少一个：处理器内核、图形处理单元（GPU)和输入/输出（I/O)设备。 Each of a plurality of sources may be a source of at least one of the following: a processor core, a graphics processing unit (GPU) and input / output (I / O) devices. 一或多个配置和状态寄存器（CSR)被耦合到共享缓存控制器，用于存储用来启用和禁用分别给每一个共享缓存通路的所述分配的编码值。  or a plurality of configuration and status register (CSR) is coupled to a shared cache controller, for storing, respectively, to enable and disable the encoded value to each of the allocated shared cache passage. 在CSR中的存储值的编程可使得每一个共享缓存通路在只有一或多个预选源的缓存未命中之后可分配。 Programmed value stored in the CSR may be such that each channel may be allocated a shared buffer after only one or a plurality of cache misses preselected sources. 因此，诸如I/O设备之类的特定的第一源对在缓存未命中之后的特定的缓存通路可能没有分配可用性，以避免诸如处理器内核之类的第二源的数据的不期望的逐出。 Thus, a first source such as a specific I / O device or the like may not be available for distribution via special cache after a cache miss in order to avoid such undesirable source of a second processor core or the like by the data out. 通过改变在一或多个CSR中的存储值控制共享缓存通路的分配可用性也可以用于在掉电序列期间在共享缓存继续运行的同时创建共享缓存内的伪RAM结构和逐步减少共享缓存的大小。 By changing the allocation availability of the shared control channel in the cache memory values ​​in one or more of CSR may also be used during a power-down sequence shared cache continues to run at the same time create a shared RAM dummy structures gradually reduce the size of the cache and shared cache . 参考下面的说明和附图，这些实施方式以及其它实施方式将变得明显。  reference to the following description and drawings, these embodiments and other embodiments will become apparent. 图1是说明计算系统的一种实施方式的总体框图。  FIG. 1 is a general block diagram of one embodiment of a computing system is described. 图2是说明典范处理节点的一种实施方式的总体框图。  FIG 2 is a general block diagram of one embodiment of processing node model described. 图3是说明集关联缓存存储布置（storagearrangement)的一种实施方式的总体框图。  FIG. 3 is a general block diagram of a set associative cache storage arrangement (storagearrangement) in one embodiment of FIG. 图4是用于共享资源中的数据的高效分配的方法的一种实施方式的流程图。  FIG. 4 is a flowchart of an embodiment of a method for efficiently allocating data of the shared resource. 图5是用于高效的缓存行锁机制的方法的一种实施方式的流程图。  FIG. 5 is a flow diagram of one embodiment of a method for efficient cache line locking mechanism. 图6是用于高效的缓存扇区掉电（power-down)序列的方法的一种实施方式的流程图。  FIG. 6 is a flowchart of one embodiment of a method for efficiently caching sectors down (power-down) sequence. 图7是用于高效的缓存扇区上电（power-up)序列的方法的一种实施方式的流程图。  FIG. 7 is a flow diagram of one embodiment of a method for efficiently caching sectors sequence power (power-up). 尽管本发明易受各种修改和替代形式的影响，但在附图中以实施例的方式示出了具体的实施方式并在此进行了详细说明。  While the invention is susceptible to various modifications and alternative forms of impact, in the drawings by way of example to illustrate specific embodiments and are herein described in detail. 然而，应当认识到，附图及其详细说明不是为了将本发明限制于公开的特定形式，与此相反，本发明涵盖包括在由所附权利要求书定义的本发明的精神和范围内的所有的修改、等同形式和替代形式。 However, it should be appreciated that the drawings and detailed description are not intended to limit the invention to the particular forms disclosed, on the contrary, the present invention includes all encompassed within the spirit and scope of the invention defined by the appended claims modifications, equivalents, and alternatives. 在下面的说明中，阐述了许多具体细节以提供对本发明的透彻理解。  In the following description, numerous specific details are set forth to provide a thorough understanding of the present invention. 然而，本领域的普通技术人员应理解，本发明可以在没有这些具体细节的情况下实施。 However, those of ordinary skill in the art should appreciate that the invention may be practiced without these specific details. 在某些情况下，熟为人知的电路、结构和技术没有做详细说明，以避免混淆本发明。 In some cases, cooked-known circuits, structures and techniques have not been described in detail, to avoid obscuring the present invention. 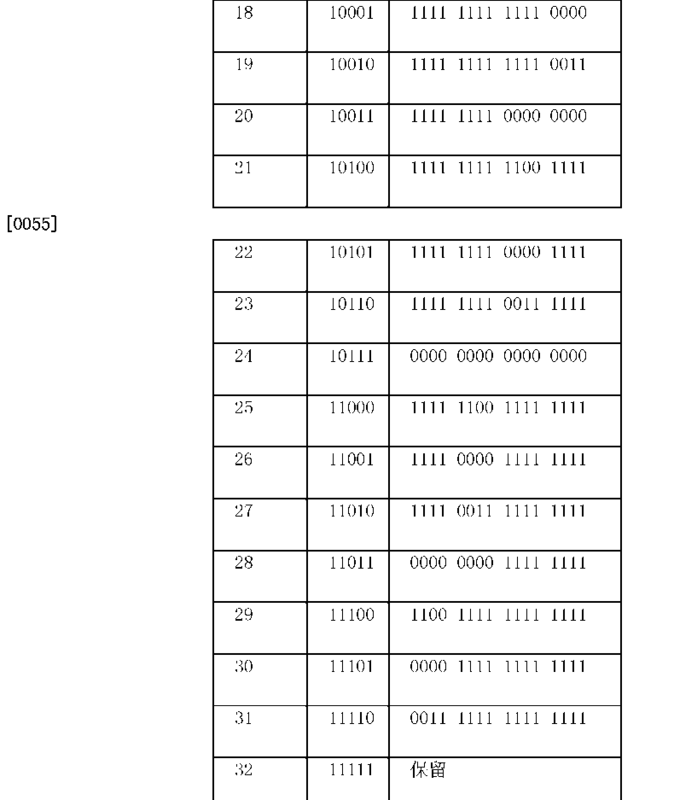 参考图1，示出了计算系统100的一种实施方式。  Referring to FIG 1, there is shown one embodiment of a computing system 100. 一般来说，计算系统100包括多个处理节点IlOa-IlOcL如此处使用的，后面跟字母的参考数字所指的元件可以由单单该数字来统称。 In general, processing node 100 comprises a plurality of computing systems IlOa-IlOcL, element followed by alphabetical reference numerals as used within the meaning of this may be collectively referred to by the numeral alone. 例如，处理节点IlOa-IlOd可统称为处理节点110或节点110。 For example, processing node may be referred to collectively as IlOa-IlOd processing node 110 or node 110. 虽然图1示出了四个节点110,但其它的实施方式可包括1、2、6或任何不同数量的节点，其中每个节点110 包括一或多个处理器内核。 Although FIG. 1 shows four nodes 110, but other embodiments may include any or a different number of nodes 1,2,6, wherein each node 110 comprises one or more processor cores. 每一个节点110可通过各自的存储器控制器120耦合到各自的存储器130。  Each node 110 via a respective memory controller 120 is coupled to a respective memory 130. 此外， 每一个处理节点110可包括用于与其它处理节点110通信的接口逻辑140。 Further, each processing node 110 may include processing logic 140 interfaces with other communication node 110. 例如，处理节点IlOa包括用于与处理节点IlOb和IlOc通信的接口逻辑140a。 For example, a processing node comprises interface logic IlOa processing nodes 140a and IlOc IlOb communication. 同样，处理节点IlOb包括用于与处理节点IlOa和IlOd通信的接口逻辑140b，依此类推。 Similarly, a processing node comprises interface logic IlOb processing nodes 140b and IlOd IlOa communication, and so on. 在图1的实施方式中，处理节点IlOd显示为通过接口逻辑140d耦合到输入/输出（I/O)设备160a以与之通信。 In the embodiment of FIG. 1, the processing node IlOd shown coupled to input / output (I / O) devices 160a through 140d to communicate with interface logic. I/O 设备160a进一步耦合到第二I/O设备160b。 I / O device 160a is further coupled to a second I / O device 160b. 此外，处理节点IlOd显示为耦合到图形处理单元（GPU) 170以与之通信。 Additionally, processing nodes IlOd shown coupled to a graphics processing unit (GPU) 170 in communication therewith. 其它处理节点可与其它I/O设备、其它GPU或其它组件以类似的方式进行通信。 Other processing nodes may be, other GPU or other components in a similar manner to communicate with other I / O devices. 作为选择的，处理节点110可与耦合到I/O总线的I/O桥通信。 Alternatively, the processing node 110 may be coupled to I / O bus of the I / O bridge communication. 在一实施方式中，计算系统100可只有一个处理节点110,如显示为耦合到I/O设备160和GPU170的节点IlOcL这样的实施方式的实施例可包括移动笔记本电脑系统、台式机、入门级服务器系统、中档工作站或其它。  In one embodiment, the computing system 100 may have only one processing node 110, such as a display coupled to the embodiments of the embodiment I / O device nodes IlOcL 160 and GPU170 such embodiment may include a mobile laptop computer systems, desktop entry-level server systems, mid-range workstation or other. 对于这样的实施方式，单一的处理节点110可在内部利用系统总线控制器进行通信。 For such embodiments, a single processing node 110 may communicate using the system within the bus controller. 系统总线控制器的一个实施例是AMD-762™北桥系统总线控制器。 A system bus controller of embodiment is AMD-762 ™ system bus controller Northbridge. 在另一实施方式中，计算系统100可包括多个处理节点110。  In another embodiment, the computing system 100 may include a plurality of processing nodes 110. 对于这样的实施方式，计算系统100可实行基于数据包的链路以用于节点间的通信。 For such an embodiment, computing system 100 may be implemented based on link data packet for communication between nodes. 在所描绘的实施方式中， 链路是作为单向线路的组合来实施的（例如，线路150a用来将数据包从处理节点IlOa传送到处理节点ll〇b，而线路150b则用来将数据包从处理节点IlOb传送到处理节点IlOa)。 In the depicted embodiment, the link is a combination of unidirectional lines to be implemented (e.g., line 150a is used to process packets from processing node to node IlOa ll〇b, 150b and the line data is used to IlOb packet transfer from the processing node to the processing node IlOa). 其它的线路150c-150h的组合用来在其它处理节点之间传送数据包，如图1所示。 Other combinations of lines 150c-150h between other processing nodes to transmit data packets, as shown in FIG. 链路150可以以缓存相干（coherent)的方式操作用以在处理节点间通信，或作为I/O设备160a-160b(以及根据需要附加的I/O设备）之间的菊花链结构以非相干(non-coherent)的方式操作。  Link 150 may be a coherent cache (Coherent) operate in a manner to communicate between the processing nodes, or as an I / O device 160a-160b (and / O apparatus according to the need for additional I) daisy-chain structure between incoherent (non-coherent) manner. 需要注意的是，从一个处理节点110传送到另一处理节点110 的数据包可能通过一或多个中间节点。 Note that a transmission from another processing node 110 to processing node 110 may packets through one or more intermediate nodes. 例如，如图1所示，由处理节点IlOa传送到处理节点IlOd的数据包可能通过处理节点IlOb或处理节点110c。 For example, as shown in FIG. 1, it is transmitted by processing node processing node to IlOa IlOd packet may IlOb or by processing node processing node 110c. 可以使用任何合适的路由算法。 Any suitable routing algorithm. 计算系统100的其它实施方式可包括比图1所示的实施方式更多或更少的处理节点。 Other embodiments computing system 100 may include more or fewer processing nodes than the embodiment shown in FIG. 此外，在其中每一处理节点通过点对点网络耦合到每一个其它处理节点的其他实施方式是可能的。 Further, in other embodiments where other processing nodes each node is coupled to each of the processing by the ad hoc network it is possible. 除了所描述的存储器控制器和接口逻辑外，每一个处理节点110可包括一或多个处理器和相关的缓存，如下面进一步说明的那样。  In addition to a memory controller and interface logic described, each processing node 110 may comprise one or more processors and associated caches, as further explained below. 从广义上讲，处理节点110包括至少一个处理器且根据需要可选择地包括用于与存储器和其它逻辑进行通信的存储器控制器。 Broadly speaking, a processing node comprises at least one processor 110 and optionally includes necessary for a memory controller in communication with a memory and other logic. 存储器130可包括任何合适的存储设备。  The memory 130 may comprise any suitable storage device. 例如，存储器130可包括一或多个RAMBUS 动态随机存取存储器（DRAM)、同步DRAM(SDRAM)、DRAM和静态RAM等。 For example, memory 130 may comprise one or more RAMBUS dynamic random access memory (DRAM), synchronous DRAM (SDRAM), DRAM and static RAM. 计算系统100的地址空间被划分在存储器130间。 The computing system address space 100 is divided in the memory 130. 每一个处理节点110可包括存储器映射，存储器映射用于确定哪一地址映射到哪一存储器130且因而确定对特定地址的存储器请求应被路由到哪一处理节点110。 Each processing node 110 may include a memory map used to determine which memory map where a memory address mapping 130 and thus determines the memory request for a particular address should be routed to which a processing node 110. 在一实施方式中，计算系统100内的地址的相干点是耦合到存储与该地址对应的字节的存储器的存储器控制器120。 In one embodiment, the coherency point address is calculated within the system 100 is coupled to the memory storing bytes corresponding to the address 120 of the memory controller. 存储器控制器120可包括用于接合存储器130 的控制电路。 The memory controller 120 may include a memory 130 for engaging the control circuit. 此外，存储器控制器120可包括用于排队存储器请求的请求队列。 Further, the memory controller 120 may include request queues for queuing memory requests. -般来说，接口逻辑140可包括缓冲区，用于接收来自链路的数据包和用于缓冲要传送到链路上的数据包。  - Generally, interface logic 140 may include a buffer for receiving data packets from the link and for buffering packets to be transmitted on the link. 计算系统100可采用任何合适的用于传送数据包的流量控制机制。 The computing system 100 may employ any suitable flow control mechanism for transmitting packets. I/O设备160可解释为任何所期望的外围设备。 I / O device 160 may be interpreted as any desired peripheral device. 例如，I/O设备160可包括网络接口卡、视频加速器、音频卡、硬盘或软盘驱动器或驱动器控制器、小型计算机系统接口（SCSI) 适配器和电话卡、调制解调器、声卡以及诸如通用接口总线（GPIB)或现场总线接口卡之类的各种数据采集卡。 For example, I / O device 160 may include network interface cards, video accelerators, audio cards, hard or floppy disk drives or drive controllers, small computer system interface (SCSI) adapters and telephony cards, modems, sound cards, and such as a general purpose interface bus (GPIB) or a variety of data acquisition cards fieldbus interface card or the like. 图2是典范处理节点110的一实施方式的框图。  FIG. 2 is a block diagram of an embodiment example of the processing node 110. 与图1对应的那些电路部分的编号是相同的。 Those corresponding to the circuit portion of FIG. 1 are numbered the same. 处理节点110可包括存储器控制器120、接口逻辑140、一或多个处理单元115 (可包括处理器内核112和相应的高速缓冲存储器子系统114)、系统通信逻辑116和共享高速缓冲存储器子系统118。 Processing node 110 may include a memory controller 120, interface logic 140, one or more processing units 115 (which may include a processor core 112 and a respective cache memory subsystem 114), a communication system logic 116 and the shared cache memory subsystem 118. 在一实施方式中，处理节点110的所示出的功能被合并在单一集成电路上。 In one embodiment, the functions illustrated processing node 110 is incorporated on a single integrated circuit. 在另一实施方式中，所示出的功能被合并在计算机主板上的芯片组中。 In another embodiment, the functions shown is incorporated in a chipset on the computer's motherboard. 在一实施方式中，处理节点110是移动计算机、台式机或其它中的独立系统。  In one embodiment, the processing node 110 is a mobile computer, in desktop or other independent system. 在一实施方式中，系统通信逻辑116是系统总线。 In one embodiment, the communication system 116 is a system bus logic. 在另一实施方式中，处理节点110在逻辑116 中并入了北桥系统总线控制器以将单元115耦合到存储器130、I/O设备160、GPU170或其它。 In another embodiment, the processing node 110 is incorporated in the north bridge logic 116 to the system bus controller 115 is coupled to the memory unit 130, I / O devices 160, GPU170 or other. 在这样的实施方式中，系统通信逻辑116可取代或吸纳存储器控制器120和接口逻辑140的功能。 In such an embodiment, the communications system 116 may be a substituted or absorb the logic controller 120 and the memory interface logic 140 functions. 在一实施方式中，逻辑116可包含北桥系统总线控制器和南桥系统总线控制器二者。 In one embodiment, the logic 116 may include both the Northbridge and Southbridge system bus controller system bus controller. 北桥协议可用于将单元115耦合到存储器130和GPU170。 Protocol may be used to north bridge 115 is coupled to the memory unit 130 and GPU170. 南桥协议可用于将单元115耦合到I/O设备160、实时时钟、电源管理单元或其它。 Southbridge protocol unit 115 may be used to couple to the I / O device 160, real time clock, or other power management unit. 逻辑116的这样的实施方式的一实施例可包括AMD-762™北桥系统控制器和AMD-768™南桥外设总线控制器。 An example of such an embodiment of the logic 116 may include AMD-762 ™ System Controller Northbridge and Southbridge AMD-768 ™ peripheral bus controller. 在另一实施方式中，处理节点110是多插槽（socket)系统的一个插槽。  In another embodiment, the processing node 110 is a multi-slot socket (Socket) system. 在这样的实施方式中，系统通信逻辑116可吸纳数据包处理逻辑。 In such an embodiment, the system can absorb the communication packet logic 116 processing logic. 一般来说，系统通信逻辑116可配置为响应在处理节点110所耦合的链路上接收到的控制数据包、响应于处理器内核112和/ 或高速缓冲存储器子系统114而生成控制数据包、响应于存储器控制器120为服务选择的事务而生成探针命令（probeco_and)和响应数据包、以及通过接口逻辑140将数据包路由到其他节点（对这些数据包来说，节点110是中间节点）。 In general, the system may be configured to control the communication logic 116 in response to data packets received at the processing node coupled to the link 110, the control subsystem 114 generates a packet in response to processor core 112 and / or cache memory, memory controller 120 in response to a selected transaction service generating a probe command (probeco_and) and response packets, and by interface logic 140 to route packets to other nodes (these data packets, a node is an intermediate node 110) . 接口逻辑140可包括用以接收数据包并使数据包与逻辑116中的数据包处理逻辑所使用的内部时钟同步的逻辑。 Interface logic 140 may include an internal clock for receiving the data packet and the packet processing logic data packet logic 116 and the synchronization logic used. 处理器112包括用于根据预定义的指令集执行指令的电路。  The processor 112 includes a set of circuitry for executing instructions according to a predefined instruction. 例如，可选择x86指令集架构（ISA)。 For example, select x86 instruction set architecture (ISA). 另外，可以选择Alpha、PowerPC或任何其它指令集架构。 Furthermore, you can choose Alpha, PowerPC, or any other instruction set architecture. 一般来说，处理器内核112分别为数据和指令存取高速缓冲存储器子系统114。 Generally, a processor core 112 are cache subsystem 114 access the data and instructions. 本文中所使用的与高速缓冲存储器子系统有关的术语"存取"是指执行读或写请求操作，如果相应请求地址所请求的数据在缓存中，该操作便可导致缓存命中，或者，如果相应请求地址所请求的数据不在缓存中，该操作便可导致缓存未命中。 Associated with the cache subsystem as used herein, the term "access" refers to a read or write operation request, if the requested address data corresponding to the request in the cache, the operation can result in a cache hit, or, if the corresponding request data requested address is not in the cache, the operation can result in a cache miss. 如果诸如请求的块没在高速缓冲存储器子系统114或共享高速缓冲存储器子系统118中找到之类的缓存未命中发生，那么读请求可被生成并被传送到未命中块所映射的节点内的存储器控制器。  If no such request block in the cache memory subsystem 114 or shared cache subsystem 118 found in the class of a cache miss occurs, the read request may be generated and transmitted to the miss block is mapped the memory controller within the node. 具有所请求的块的相应的缓存填充行可被传送到相应的缓存，以完成原始的读或写请求。 Having requested the corresponding cache fill line block may be transferred to the corresponding buffer, in order to complete the original read or write request. 此外，缓存填充行可置于缓存中的相应集中。 In addition, the cache line may be filled in the appropriate concentration cache. 如果在相应的集中没有可用的通路，那么通常是最近最少使用（LRU)算法确定集内的哪一通路将放弃其数据并代之以缓存填充行数据。 If the concentration in the corresponding passage not available, it is usually the least recently used (LRU) algorithm to determine which passage will give up its data set and replaced line of data cache fill. 本文中所使用的术语"分配"是指在特定缓存的缓存未命中之后，将从缓存层次结构的较低层次中提取的缓存填充行存储到特定缓存的通路中。 As used herein, the term "distribution" refers to a cache line fill cache memory after a certain cache misses, extracted from the lower level cache hierarchy of the passage to a particular cache. 缓存子系统114和118可包括配置为存储数据块的高速的缓冲存储器。  114 and cache subsystem 118 may be configured to include a high-speed buffer memory for storing data blocks. 高速缓冲存储器子系统114可被集成在各自的处理器内核112中。 Cache memory subsystem 114 may be integrated in the respective processor cores 112. 可替换地，高速缓冲存储器子系统114可根据需要在背面缓存配置或内联（inline)配置中耦合到处理器内核112。 Alternatively, the cache subsystem 114 may be configured or inline (inline) configuration is coupled to the processor core 112 in the back of the cache as necessary. 更进一步，高速缓冲存储器子系统114可作为缓存层次结构实施。 Still further, a cache memory subsystem may be implemented as a cache hierarchy 114. 如果需要，位于更接近处理器内核112(在层次结构内）的缓存可被集成到处理器内核112中。 If desired, the processor core is located closer to the cache 112 (in the hierarchy) may be integrated into the processor core 112. 在一实施方式中，高速缓冲存储器子系统114每一个代表L2缓存结构，共享缓存的存储器子系统118代表L3缓存结构。 In one embodiment, the cache subsystem 114 on behalf of the L2 cache memory of each structure, the shared cache subsystem 118 represents an L3 cache structure. 在另一实施方式中，高速缓冲存储器子系统114每一个代表Ll缓存结构，共享缓存的存储器子系统118代表L2缓存结构。 In another embodiment, the cache subsystem 114 on behalf of each of the memory structure Ll cache, shared cache 118 representative of L2 cache subsystem configuration. 其它的实施方式是可能的和可预期的。 Other embodiments are possible and contemplated. 高速缓冲存储器子系统114和共享高速缓冲存储器子系统118二者都可包括耦合到相应的缓存控制器的高速缓冲存储器或缓存阵列。 Both  The cache memory subsystem 114 and the shared cache memory subsystem 118 may include a cache controller coupled to a corresponding cache memory array or cache. 在一实施方式中，用于集关联的共享高速缓冲存储器子系统118的缓存控制器可包括可编程的配置和状态寄存器（CSR)和逻辑。 Shared cache memory in one embodiment, a set associative cache subsystem controller 118 may comprise a programmable configuration and status register (CSR) and logic. CSR和相应的逻辑可用于将子系统118的缓存阵列细分成多个独立的部分，以防止诸如缓存填充行之类使用子系统118的各种源在缓存未命中后在同一区域分配数据。 CSR and corresponding logic for the cache subsystem 118 is subdivided into an array of a plurality of separate parts, such as a cache fill line to prevent such subsystem 118 using various sources distributed in the same area after the data cache miss. 目前已经存储在缓存中的数据可被任何源命中用于读或写访问，不管在CSR中存储的值如何。  the current data already stored in the cache hit any source can be used to read or write access, regardless of the value stored in the CSR. 例如，缓存可具有修改过的数据，并且因此，存储器层次结构的较低层次可具有相应的旧的数据。 For example, the cache may have modified data, and therefore, the lower level memory hierarchy may have a corresponding old data. 请求源应该接收到所请求的缓存行的更新了的复本。 Should receive the update request source of the requested cache line is a copy of. 因此,对于共享缓存的特定集内的特定通路，仍然允许从任何源访问，但由于缓存未命中的分配由CSR中存储的值来确定。 Thus, for a particular set of shared cache a particular passage, still allow access from any source, but because of a cache miss is determined by the assigned values ​​stored in the CSR. 这样的方案可限制驱除有用的数据或限制共享缓存被没有用的数据污染。 Such a scheme may limit the useful data or limit purge contaminated shared data cache is not used. 虽然允许任何源访问，但访问的地址范围可以为每一个源进行预定。 While allowing access to any source, but may be accessed by the address range predetermined for each source. 数据可以以各种方式存储在共享高速缓冲存储器118的阵列中。  The data may be stored in the shared cache memory array 118 in a variety of ways. 例如，图3示出了存储布置300的一实施方式，其中数据使用16路集关联缓存组织进行存储。 For example, FIG. 3 shows an embodiment of a memory arrangement 300, wherein the data-way set associative cache using 16 memory organization. 在集关联缓存内的诸如4路、8路或其它之类不同数目的通路可被选择。 Such as 4-way set associative cache in, a different number of 8 or other passageway or the like may be selected. 给定的缓存集332可以通过用来存取诸如共享高速缓冲存储器子系统118之类的集关联缓存的地址310的块索引318部分从其它集中进行选择。 Given cache 332 may be set as a shared cache subsystem 118 associated with the category set by the cache block index used to access the address portion 310, 318 to select from another set. 当块标记312和336包含相同的值且相应的块状态334指定诸如有效的缓存块之类的预定匹配值时，缓存块命中可能会发生。 When the block state 312 and block tag 336 contain the same value and the corresponding match predetermined value such as 334 specifies a valid cache block or the like, hit cache block may occur. 在一实施方式中，缓存330内的缓存行或缓存块的数据部分338配置为存储64个字节。  In one embodiment, the cache storage 64-byte data cache line or cache block 338 disposed within the portion 330. 其它大小是可能的和设想过的。 Other sizes are possible and are contemplated before. 缓存330的16路的每一个也可存储状态信息334。 Each buffer 330 may also store status information 334 of the path 16. 块状态334可包括如下的至少一个或多个：有效位、指示拥有相应的缓存块的缓存块的用户主编码、用于与缓存控制器采用的缓存替换算法关联使用的最近最少使用（LRU)的逐出信息、指定诸如修改的、独一的、拥有的、共享的、无效的或其它之类缓存的一致性状态的指示。 Status block 334 may comprise at least one or more of the following: a valid bit, indicating the corresponding cache block has a main encoding the user block cache, the cache used for replacement associated with the cache controller algorithm using a least recently used (LRU) eviction information, such as designated modified, unique, owned, shared, indicating an invalid or other such cache coherency states. 其它的包括的状态信息是可能的和设想过的。 Others include status information is possible and are contemplated before. 块标记336可用于确定16个缓存行中的哪一个正在缓存集332内进行着存取。 Tag 336 may be used to block 16 to determine which one of the cache lines within the cache is accessed with the current collector 332. 此外，地址310的偏移320可用于表示缓存行内的特定的字节或字。 Further, the offset address 310, 320 may be used to represent a specific byte or word within a cache line. 缓存集332可以被块地址310的块索引318选择。  The current collector 332 may be a block cache block address 310 index 318 selected. 虽然块状态334和块标记336 可以以连续的位与每一个缓存通路中的数据338以连续的位的方式存储，但在一实施方式中，块状态334和块标记336可存储在单独的阵列中，而不是在与数据338相同的阵列中。 Although the block state 334 and block tag 336 may be 338 in a continuous bits stored continuous data bits with each cache pathway, in one embodiment, block state 334 and block tag in a single array 336 may be stored instead of 338 in the same data array. 控制缓存阵列中的缓存未命中后的存储器请求的数据存储的分配可能是有用的。  After the allocation data stored in the control buffer cache miss array of memory requests may be useful. 如果在特定的缓存的相应集中没有可用的通路，那么在相应集中的现存的缓存行需要被逐离。 If the corresponding concentration not available in a particular cache access, then needs to be isolated by concentration existing in the corresponding cache line. 典型地，最近最少使用（LRU)的计划被用于选择当前存储的缓存行用于驱离。 Typically, the least recently used (LRU) program is used to select the current cache line storage for expulsion. 例如，内核112a和内核112b可能只在共享缓存118的某些部分被允许分配，I/O设备可能限于分配分离的部分，图形处理单元（GPU)可能限于分配另一分离的部分。 For example, the core 112a and core 112b may only certain parts of the shared buffer 118 is allowed to allocate, I / O devices may be limited to dispensing separate portions, a graphics processing unit (GPU) may be limited to other dispensing separate portions. 例如，关于缓存330中的存储布置，内核112a可能被允许只分配在通路15至12 中，内核112b可能被允许只分配在通路11至8中，GPU可能被允许只分配在7和6中，三个独立的I/O设备可能被允许每一个只分别分配在诸如通路5和4、通路3和2、通路1和0之类2个通路中。  For example, the storage arrangement on the cache 330, the kernel 112a may be allowed only assigned passage 15 to 12, the core 112b may be allowed only allocated passage 11 to 8, GPU may be allowed only allocated 7 and 6, the three separate I / O devices may be permitted only each respectively assigned a passage, such as 4 and 5, passage 2 and 3, 1 and 0 or the like via two paths. 因此，内核112a和112b每一个是能够分配共享缓存的1/4，GPU170和三个I/O设备160每一个都能够分配同一共享缓存的1/8。 Accordingly, each core 112a and 112b can be allocated shared cache is 1/4, GPU170, and three I / O device 160 each can be allocated the same shared cache 1/8. 用于提供预定的分配许可的机制即将说明。 A mechanism for providing a predetermined allocation of licenses as will be explained. 在这种方式下，这些源可以通过维护与分离的部分中的每一个源相关联的非共享的和独立的数据存储而有效地共享子系统118的缓存。 In this manner, these sources can be effectively shared cache subsystem 118 with independent and non-shared data stored in each of the source associated with the isolated portion by maintaining. 在一实施方式中，如例中所说明的那样，内核112可以有比GPU170和任何I/O设备160更大的共享缓存118的部分用于数据分配。 In one embodiment, as illustrated in the embodiment, the core 112 may be useful for data distribution than the portion GPU170 and any I / O device 160 more shared cache 118. 说明的是，通过不允许分配的源进入特定的通路的写操作缓存击中仍然像往常一样进行执行。  Note that entering a particular path through the source does not allow the distribution of write cache hit is still as usual for execution. 使用上面的例子，I/O设备160不可允许分配到通路15。 Using the above example, I / O device 160 is not allocated to allow passage 15. 如果I/O设备160 执行在特定的集中的缓存行的读操作，那么包含请未命中发生的缓存行，包含所请求的缓存行的缓存填充行就从存储器层次结构的较低层次取出。 The cache line fill cache line if the I / O device 160 performs the read operation at a specific set of cache lines, the cache line containing the requested miss occurs, containing the requested they were removed from the lower level memory hierarchy. 这个缓存填充行是用来完成读操作的。 This cache line fill operation is used to complete the read. 之后或与此同时，诸如最近最少使用（LRU)算法之类机制可扩展，以选择在相应的缓存中的预定数目的通路中的一个缓存通路被替换，而不是在缓存集中的所有的缓存通路中选择。 At the same time or after, such as a least recently used (LRU) algorithm or the like extensible mechanism to select a predetermined number of the corresponding cache buffer via a passage to be replaced, rather than concentrating all caches in the cache passage select. 存储在相应的CSR中的编码值可用于确定缓存通路1和0和只可用于为这个I/O设备160分配。 Coded value stored in the corresponding CSR may be used to determine and 0, and the I / O 160 may be used only for the distribution apparatus 1 via the cache. 随后的逐出只可能在缓存通路1和0中发生，并可能会选择这两个缓存通路中的最近最少使用的缓存通路。 Subsequent expulsion may occur only in the cache path 1 and 0, and may choose to access the cache least recently used two cache path. 在一实施方式中，如果I/O设备160执行写入到特定的集的写操作和缓存命中发生在通路15,那么I/O设备160可以通路15内修改数据。 In one embodiment, if the I / O device 160 to perform a write to a specific set write operation and a cache hit occurs in the passage 15, the I / O device 160 may modify the data passage 15. 在另一实施方式中，内核112a和112b可以共享数据，但这个数据不可与GPU170 或三个独立的I/O设备160共享。  In another embodiment, the kernel 112a and 112b can share data, but the data is not the GPU170 or three separate I / O device 160 share. 两个内核112a和112b都只可允许分配通路15至8， GPU170只可允许分配通路7和6,三个独立的I/O设备160每一个都只可允许分配诸如通路5和4、通路3和2和通路1和0之类2个通路。 Two cores 112a and 112b may only allow distribution circuit 15 to 8, GPU170 only allow distribution channels 6 and 7, three separate I / O device 160 may only allow the allocation of each of such passages 4 and 5, the passage 3 1 and 2 and the passage and the passage 2 0 or the like. 因此，内核112a和112b每一个具有权限分配共享缓存的1/2,GPU170和三个I/O设备160的每一个都具有权限分配同一共享缓存的1/8。 Therefore, the kernel 112a and 112b each having a shared cache permissions assigned 1/2, GPU170, and three I / O devices 160 are each 1/8 permissions assigned to the same shared cache. 在一实施方式中，配置和状态寄存器（CSR)可以用来存储编码值，以控制用于诸如内核112a、I/O设备160、GPU170或使用诸如高速缓冲存储器子系统118之类系统中的指定缓存的其它之类每一个源的分配空间。  In one embodiment, the configuration and status register (CSR) can be used to store the encoded value, such as to control a core 112a, I / O devices 160, GPU170 or cache subsystem 118, such as the type of system specifies other such buffer space allocated for each source. 例如，基于存储器请求的源的16-路集关联指定缓存可利用5位掩码的编码。 For example, the 16-way set associate memory request source specified cache based on available encoder 5 mask. 编码值的一个例子如表1所示。 An example of code value shown in Table 1. 上面在表1中所示的编码可以为分享系统中的指定缓存的每一个源控制分配空间。  In the above coded as shown in Table 1 may control the allocation of space for each source specified shared cache systems. 在一实施方式中，用于内核112a的5位CSR可以通过编程来存储值'OOOlli，如在表1中的表项2,它允许内核112a在缓存118的16个通路的一半中分配数据。 5 In one embodiment, CSR, may be used for the core 112a 'OOOlli, as in Table 1, entry 2, which allows half of the allocated data cache 16 via 112a through kernel 118 programmed to store values. 这些特定的通路可能被指定为通路7至0,其中通路在一组缓存中由左到右编号为15至0,与图3的缓存330的存储布置的例子类似。 These particular path may be designated as a similar passage 7-0, wherein the passage in a cache set from left to right are numbered 15-0, cache storage arrangement 330 of FIG. 3 an example. 其它标记的计划是可能的和设想过的。 Other labeling plan is possible and are contemplated before. 类似地，用于GPU170的5位CSR可存储值'01001 "，如表1的表项3,它允许GPU在缓存118的16个通路中的4个中分配数据。这些特定的通路可以指定为通路11至8。用于第一I/O设备160的第三个5位CSR可存储值'01100'，如表1的表项2,它允许第一I/O设备在缓存的通路中的2个中分配数据。这些特定的通路可以被指定为通路13 至12。最后，用于第二I/O设备160的第四个5位CSR可存储值'01110'，如表1的表项4,它允许第二I/O设备在缓存118的通路中的2个中分配数据。这些特定的通路可以被指定为通路15至14。再次说明，缓存118可利用不同数目的通路，表1的编码可能会改变以适应诸如4路、8路，或其它集关联选择之类不同数目的通路。  Similarly, the CSR 5 GPU170 may store a value of '01001', as shown in Table 3. Table 1 entry, which allows the distribution of data in the GPU 16 via buffer 118 in four of these specific pathways You may be designated as a first passage 11 to 8. I / O device 160 of the third CSR 5 may store the value '01100', entry 2 of table 1, which allows the first I / O buffer device 2 allocated in the data path. these particular path may be designated as the passage 13 to 12. Finally, a second I / O fourth CSR 5 may store the value '01110' of the device 160, as shown in table 1 entry 4, which allows the two second allocation data I / O device 118 in the passage in the cache. these particular path may be designated as the passage 15 to 14. again, the cache 118 may utilize a different number of passages , a code table may be changed to accommodate a different number of passages, such as the class 4, 8, or other associated sets of choice. 注意的是，缓存的区，诸如16通路集关联缓存的通路1和0或16通路集关联缓存的1/8可被所有源禁止分配，这可能会同时允许缓存的其它区被所有源分配。  Note that the buffer area, such as a set associative cache 16 via a passage 16 and passage 0 or 1/8 set associative cache may be inhibited all assigned sources, which may allow the rest area of ​​the buffer are all source distribution. 在一实施方式中，除了每个源采用了相应的各自的CSR之外，全方位的CSR可能会被所有源利用。 In one embodiment, each source except using the respective corresponding CSR outside, the full range of CSR may be used for all sources. 存储在全方位的CSR中的编码值可能会覆盖存储在各自的CSR中的编码值。 Encoding the full range of values ​​stored in the CSR may overwrite the value stored in the respective encoding the CSR. 例如，在一实施方式中，全方位的CSR可能编程为存储值'10000'，如表1的表项6那样。 For example, in one embodiment, the CSR may be round programmed to store a value of '10000', as shown in Table 16 as entries. 根据表1，这个值禁止相应的集关联缓存的任何源的通路1和0分配。 Disable the corresponding set associative cache according to Table 1, the values ​​0 and 1 via any source distribution. 缓存的通路1和0以外的其它通路可能会根据相应的各自的CSR被禁止分配特定的源，但保证通路1和0禁用，不管各自的CSR 的存储编码值如何。 1 and cache access paths other than 0 may be disabled according to the corresponding respective assigned CSR specific source, but is disabled to ensure the passage 1 and 0, regardless of how to store encoded values ​​of each of the CSR. 在另一实施方式中，不是利用全方位的CSR，用于某一个特定的源的单个的CSR可能修改其内容，以禁用通路1和0。 In another embodiment, instead of using the full range of CSR, for a single source of a particular CSR may modify its contents, and to disable access 0 1. 如此，防止了存储在通路1和0中的信息被以后的填充事务侵犯。 Thus, to prevent the information stored in passage 1 and 0 violated transaction after filling. 这些特定的通路，在这种情况下是通路1和〇,可能已被事先用于分配。 These specific path, in this case a square passage 1 and, may have been previously used to dispense. 稍后将提供这种使用的更多细节。 This will provide more details later use. 在一实施方式中，用于处理节点110中的缓存118的缓存控制器118清楚特定的缓存存取请求源，因此缓存控制器和相应的逻辑知道哪一个CSR存取缓存通路启用和通路禁用控制。  In one embodiment, the node 110 for processing the cache 118 cache controller 118 clear particular cache access request source, and the respective cache controller logic to know which cache access path is enabled and CSR disable access control. 在一实施方式中，到特定的源的特定的CSR的分配和特定的CSR的存储值是在在系统开机期间由基本输入输出软件（BIOS)设置的。 In one embodiment, the particular source assigned to a particular and specific CSR values ​​stored in the CSR is set by a basic input output software (BIOS) during system boot. 因此，可能是出于安全原因，分配和值只设置一次，尽管BIOS可能会在稍后的时间进行改变或更新。 Therefore, it may be for security reasons, distribution and value set only once, even though BIOS may be changed at a later time or date. 在另一实施方式中，由设备驱动程序动态加载的和通过操作系统更新机制透明地更新的固件可以用于改变CSR的分配和存储值，如果这些权限被授予的话。 In another embodiment, the device driver by a dynamically loaded and updated transparently by the operating system, the firmware update mechanism can be used to change the distribution and storage of CSR values, if these rights are granted, then. 在又一实施方式中，可利用其它的软件机制编程和重新编程CSR的分配和存储值，如软件程序员提供对某些应用程序的控制。 In yet another embodiment, the stored values ​​can be assigned using other software programming and reprogramming CSR mechanisms, such as the programmer provides control over certain software applications. 再一次说明， 这种控制由于安全原因可能是有限的。 Again, this control for security reasons may be limited. 下面的表2扩展了表1所不的编码。  The following Table 2 is not an extension of the coding table. 关于表2,在一实施方式中，载体（Vector) [15:0]中的逻辑'1'可定义在指定的集关联缓存中的启用的方式，逻辑'0'可以定义禁用的方式。 With reference to Table 2, in one embodiment, the vector (Vector) [15: 0] is logic '1' defined enabled in the specified way set associative cache, a logic '0' can be defined disabled mode. 如前所述，配置和状态寄存器（CSR)可用于存储诸如表1或表2中所示的值之类编码值，以控制用于每一个源的共享资源中的分配空间。  As described above, the configuration and status register (CSR) or table values ​​may be used to store such encoded values ​​as shown in Table 12, to control the shared resource for each of allocated space in the source. 例如，如上所述，I/O请求源可能被编程为只分配16通路集关联缓存中的2个通路，如缓存的通路15和14。 For example, as described above, I / O request source 16 may be programmed only via assigned set associative cache is a two passages, such as passage 15 and the cache 14. 这可能是通过响应这些I/O请求编程CSR存储5位值^OllKV的。 This may be in response to the I / O requests stored 5-bit value programmed CSR ^ OllKV of. 表1的表项4和表2的表项15这两个都对应于5位值'01110'，说明通路15和14被启用用于此编码。 Table 1 Item entry 4 and 15 of Table 2 correspond to the two 5-bit value '01110', 15 and 14 illustrate paths for this encoding is enabled. 这样的在上面的实施方式中的编码可能不允许I/O请求分配超过在共享缓存中的1/8的存储。 Such encoding in the above described embodiment may not allow the I / O requests stored in the shared assignment of more than 1/8 of the cache. 除了利用存储器请求的源用于分配诸如集关联缓存之类共享资源的分配，存储器请求的类型也可被使用。  In addition to using a memory such as a source of the request for allocating the set associative cache shared resource allocation class, the type of memory request may also be used. 存储器请求的类型可用于诸如在缓存控制器中的控制逻辑之类逻辑，以确定存储器请求是否允许分配共享缓存的特定通路的相应的缓存行。 Type of memory request control logic or the like may be used as the cache controller logic to determine whether to allow the memory request corresponding cache line given channel allocation shared cache. 可能编码为操作码的存储器请求的类型和在CSR中存储的值都可为控制逻辑利用，以确定在由缓存未命中导致的缓存填充事务期间是否分配缓存填充行和缓存填充行位于相应的集的哪一通路中。 Type may be coded as memory request operation code and the value stored in the CSR as the control logic can be utilized to determine whether to allocate a cache line fill and cache line fill during a cache fill transaction results in a cache miss located in the corresponding set of which of passage. 马上将提供进一步的细节。 Immediately provide further details. 一般来说，对于命中缓存的读请求，相应的缓存行的部分数据不被修改。 In general, a read request for a cache hit, the data of the corresponding portion of the cache line is not modified. 然而，状态信息，如一致性状态、LRU信息或其它可能会被更新。 However, status information, such as a consistent state, the LRU or other information may be updated. 对于错过缓存的读请求，相应要求的缓存行的数据部分再次不进行修改，虽然状态信息可能会被更新。 For a read request to the cache miss, the required data portion of the corresponding cache line again without modification, although the status information may be updated. 错失的相应缓存行可能已经从存储器层次结构的较低的层次取来。 Lost corresponding cache line may have been taken from the lower level memory hierarchy. 根据预定的缓存行的填写要求，这一相应的缓存行可能会或可能不会被储存或分配在共享缓存。 The predetermined required to fill a cache line, the corresponding cache line may or may not be stored or distributed shared cache. 再次，一般来说，对于命中缓存的写请求，如果诸如缓存的一致性、用户主状态和/ 或其它之类其它要求满足，相应的缓存行的数据部分就修改。  Again, in general, for a cache hit write request, if such a cache coherence, the main user state and / or other such other requirements are met, the data portion corresponding to the modified cache line. 此外，更新可能会发生在相应的状态信息上。 In addition, the update may occur on the corresponding status information. 再次，如果其它的要求得到满足，错过了共享缓存的写请求可能会允许取出的缓存填充行的数据部分进行修改。 Again, if the other requirements are met, the shared cache miss write request section may allow data fetched cache fill line to be modified. 与错过读请求类似，用于写未命中的相应的缓存行可能已经被从存储器层次结构的较低层次提取。 Similarly the missed read request, a write miss corresponding cache line may have been extracted from the lower level memory hierarchy. 这一相应的缓存行可能会或可能不会被储存或分配在共享缓存，这取决于预定的缓存行填充请求。 The corresponding cache line may or may not be stored in the shared cache or allocated, depending on the intended cache line fill request. 确定缓存行填充请求的控制逻辑除了利用如表1和表2所示的例子的基于源的编码信息外，还可利用传入的存储器请求的指令类型。  The control logic determines the requested cache line fill except for using encoding information in Tables 1 and 2 based on the example shown in the source, but also using the instruction type of incoming memory requests. 共享缓存可支持多种不同类型的请求。 Shared cache can support many different types of requests. 由共享缓存支持的存储器请求的一些例子如表3所示。 Some examples supported by the cache memory sharing request as shown in Table 3. 表3支持的存储器请求类型。  Table 3 Supported memory request type. 源和存储器请求类型的组合可提供灵活性，供用户在数据部分和同时缓存行被分配的对应的状态信息的条件下编程。  The memory requests and the source type of combination provides the flexibility for programming under the conditions in the user information data portion and at the same time the corresponding cache line is assigned a state. 只有来自给定的请求源的预定类型的请求可考虑分配到缓存中。 Only a predetermined type of request from a given source may be considered for allocation requests to the cache. 在一实施方式中，可通过在系统中为来自具有与如表2所示的编码类似的编码的、每一个源的每一个指令添加一个或多个CSR提供可编程性。 In one embodiment, by having the system is similar to encoding from encoding shown in Table 2, each instruction of each source adding one or more CSR's programmability. 这种可编程性可在第一事务的基础上执行。 Such programmability may be performed on the basis of the first transaction. 未编程用于分配的请求不在缓存未命中期间分配到缓存。 Assigned to the cache during a request for allocation unprogrammed not cache miss. 在另一实施方式中，可编程性可通过在系统中为每一个具有与表2中的编码类似的存储器请求的源添加一个或多个CSR来提供。  In another embodiment, the programmability by adding one or more CSR each having a source code in Table 2 similar to the memory request in the system is provided. 在由于缓存未命中导致的缓存填充事件的情况下，存储器请求的操作码或指令的类型可通过在缓存控制器的逻辑实现，以确定缓存填充行是否允许分配到缓存中并可能导致在同一组缓存内的另一缓存行的驱离。 In the case of an event due to cache fill cache misses caused type opcode or instruction memory request may be implemented by the cache controller logic to determine whether to allow the cache line fill cache assigned to the same group and may cause expelled from another cache line in the cache. 诸如表2 中的例子之类基于源的编码值可能会允许发生这样的分配，尽管这种编码值可能会限制可分配的集的通路，但指令类型可覆盖此权限并防止分配。 Table 2 Examples of such classes based on the value of the source coding may allow such assignment occurs, although this may limit the access code value assignable set, but this permission instruction types may cover and prevents the allocation. 在又一实施方式中，存储预定值的CSR可能如前所述对每一个源存在，但在一个或多个CSR中的值可能会由于传入的指令类型而被改变。 In yet another embodiment, the predetermined value may be stored in CSR for each source as described above exist, but the value in one or more of the CSR may be due to the incoming instruction type is changed. 预定值的变化可能只在安全限制允许它发生时才被允许。 Change the predetermined value may only be allowed if security restrictions allow it to happen. 例如，基于典型的软件应用程序的执行，CSR值可能不被允许改变。 For example, based on the implementation of typical software applications, CSR values ​​may not be allowed to change. 这一增加的功能可能会非常有用，因为用户可选择哪种类型的请求被允许分配到缓存。  This additional feature can be very useful because the user can select what type of request is allowed assigned to the cache. 例如，当CLVICBLK存储器请求在缓存未命中时，不分配这一行到缓存可能是有益的， 因为清洁的受害者只需要进行跟踪以求更好的探针筛选（probefiltering)结果。 For example, when CLVICBLK memory request misses in the cache, the cache is not assigned to this line may be beneficial, because the cleaning of the victim only needs to be tracked in order to better probe to screen (probefiltering) results. 另外，对于其中用于该设备的数据很少使用的特定的I/O设备160,从这个特定的I/O设备160来的、未命中共享缓存的读写存储器请求可能会在无意中造成驱离对处理器的内核有用的数据。 Further, for the data for which the device is rarely used in a particular I / O device 160, from 160, the shared cache misses and write memory requests this particular I / O device may inadvertently cause flooding useful data from the core processor. 在这种情况下，共享缓存的一大部分可存储不会被再次使用的数据，而有用的信息被逐出。 In this case, a large part of the shared cache can store data will not be used again, and useful information to be expelled. 因此，系统性能可能受到影响。 Therefore, system performance may be affected. 表1-3说明的和在缓存控制器中的逻辑所执行的可编程性可能有助于避免这种情况和提高系统性能。 Described in Table 1-3 and the cache controller logic executed by a programmable resistance may help to avoid this situation and improve system performance. 此外，系统的体系结构可以支持添加和使用预定的、要包括在存储器请求中的提示位，如在一实施方式中在相应的数据包中那样。  In addition, the system architecture can support a predetermined add and use, including prompt to request bits in the memory, as in the corresponding data packet in one embodiment. 这一提示信息可能是位于与操作码连续、 或放置在存储器请求指令或数据包中别处的位。 This message may be located in a continuous operation code, or instruction, in bit memory request packet or elsewhere. 与操作码或指令的类型信息类似，在缓存控制器中的逻辑可能会利用这些提示位，以确定是否在诸如在由缓存未命中导致的填充事件期间允许相应的存储器请求分配到共享缓存。 The type of information the instruction opcode or the like, in the cache controller logic may use these tips bits, such as to allow to determine whether a corresponding memory allocated to the shared cache request during filling event caused by a cache miss. 在一实施方式中，这些提示位可单独使用，而不是添加在由操作码所提供的存储器请求类型上使用。  In one embodiment, the tips of these bits may be used alone, instead of adding the type used in the memory provided by the request opcode. 在另一实施方式中，这些提示位可与操作码一起使用，以做这样的确定。 In another embodiment, these tips may be used with bits opcode, in order to make such a determination. 例如，提示位的第一个值可能指示操作码自身应用于确定。 For example, a first bit value prompt instruction operation code may be used to determine itself. 提示位的第二个值可能表示绕过操作码值、只有提示位用于确定。 Tip bit value may indicate a second bypass operation code values, for determining only the bit tips. 第三个值可能指示需要考虑提示位和操作码值二者以用于确定。 The third value may indicate a need to consider both tips bit opcode values ​​and for determining. 可能是在状态图中使用的其它组合是可能的和设想过的。 Other combinations may be used in a state diagram are possible and are contemplated before. 如前所述，在一实施方式中，诸如表2中的例子的基于源的编码值的表可能会允许填充事件分配到共享缓存，但提示位或提示位和指令类型相结合的可重写此权限，防止分配。  As described above, in one embodiment, such as the example in Table 2 based on Table source encoded value may be assigned to allow the shared cache fill the event, but the prompt or prompts bit position instruction type and the combination of this right can be overridden to prevent distribution. 在又一实施方式中，存储预定值的CSR可能对如前面所述的每一个源存在，但由于传入的指令类型的提示位，在一个或多个CSR中的值可能会被改变。 In yet another embodiment, the predetermined value may be stored in CSR for each source as previously described is present, but the type of the incoming command prompt bit value in one or more of the CSR may be changed. 预定值的变化可能只在安全限制允许它发生时才被允许。 Change the predetermined value may only be allowed if security restrictions allow it to happen. 再一次，基于执行典型的用户编写的典型的软件应用程序，CSR的值可能不会被允许改变。 Again, based on a typical software applications that perform typical user-written, the value of CSR may not be allowed to change. 提不位所提供的基于每一事务的指不（per-transaction-based-indication)在其中属于特定事务的数据极不可能被重用、并因此尽管存储器请求指令类型可能是缓存可修改的、在未命中后没有填充机制按照预定的表（如表2)分配此数据到缓存的情况下可能是有用的。  The lifting means not each transaction based (per-transaction-based-indication) are not provided in the position where the data belonging to a particular transaction can not be reused electrode, and therefore although the memory request is cached, and the instruction types may be modified , and after a miss is not filled with the data distribution mechanism to a case where the cache may be useful in accordance with a predetermined table (table 2). 在一实施方式中，此功能可广泛使用于I/O请求源，如I/O设备160。 In one embodiment, this feature can be widely used in the I / O request source, such as I / O device 160. 这种机制可防止缓存的受染。 This mechanism prevents cache infected. 图4说明了在共享资源中的数据的有效配置的方法400。  FIG. 4 illustrates a method valid configuration data in the shared resource 400. 对本领域技术人员，方法400可以修改以获得替代实施方式。 To those skilled in the art, the method 400 may be modified to obtain alternative embodiments. 此外，在此实施方式中的步骤是按顺序的。 Further, in this embodiment step is sequential. 然而，在另一实施方式中，某些步骤可以不同于所示的顺序出现，有些步骤可同时执行，某些步骤可与其它步骤结合起来，一些步骤可省略。 However, in another embodiment, certain steps may occur out of the order shown, some steps may be performed concurrently, some steps may be combined with other steps, some steps may be omitted. 在所示的实施方式中，用于确定共享资源的哪一子部分启用或禁用将进入的操作分配的初始分配被设置在块402。 In the embodiment shown, which sub-section for determining a shared resource allocation to enable or disable operation of the incoming initial allocation block 402 is provided. 例如，在诸如表2的表中定义的最初的编码值可存储在适当的CSR中。 For example, the original code values ​​defined in the table, such as Table 2 may be stored in the CSR appropriate. 一或多个计算机程序或软件应用程序在块404执行。  The one or more computer programs or software applications executing in block 404. 这些应用程序可由一个或多个处理器内核112、图形处理单元（GPU) 170、1/0设备160或其它执行。 These applications may be one or more processor cores 112, a graphics processing unit (GPU) 170,1 / 0 device 160 or other execution. 执行软件应用程序的这些实体每一个都可存取诸如数据缓存之类共享资源。 Execute the software application can access each of these entities, such as a shared resource like a data cache. 在一实施方式中，可共享的资源可以是诸如图2的共享高速缓冲存储器子系统118之类可共享的L2或L3缓存。 In one embodiment, the shared resources may be such as in FIG shared cache memory subsystem 118 or the like 2 can be shared L2 or L3 cache. 由处理器内核112对共享缓存的存取或存储器请求可能会比来自诸如GPU170或I/O设备160之类的其它源的存取对系统性能有更大的影响。 Shared by the processor cores 112 pairs of memory or cache access requests may have a greater impact on system performance than from other sources such as GPU170 access or I / O device 160 or the like of. 当存储器请求呈于共享缓存（条件判断块406)时，在块408执行用于在共享缓存的相应集中分配的可允许通路的确定。  concentration is determined for the respective partitioned shared cache may allow passage of time when the memory request in the form of a shared cache (conditional block 406), block 408 is performed. 存储器请求的源是已知的，可用于存取相应的CSR， 其存储的值确定在相应的集中可允许的通路的分配。 Source memory request are known, can be used to access a corresponding CSR, the determination of the concentration distribution in the respective allowable value thereof stored path. 在其它的实施方式中，如前参考表3 所述的那样，存储器请求的类型和/或提示位也可以用来确定允许的通路的采集。 In other embodiments, as previously said with reference to Table 3 above, the type of memory request and / or prompts may be used to determine the position to allow the passage collected. 如果存储器请求错过缓存、因此需要正确的行从较低层次的存储器（条件判断块410)检索，就执行确定，确定是否允许填充行被分配到共享缓存（条件判断块414)。  If the memory request is a cache miss, requiring the correct line (conditional block 410) retrieved from the lower level memory, performing determination on whether to allow the filling lines to be allocated to shared cache (conditional block 414). 这一确定可基于源、可由操作码决定的指令类型、在指令或数据包中包含的提示位或这些因素的组合或其它。 This determination may be based on the source, the instruction type code determined by the operator, or a combination of these factors suggesting bits contained in the instruction or data packet or other. 如果确定为存储器请求不允许分配到共享缓存（条件判断块414)，那么诸如读写检索的填充行的内容之类存储器请求的操作可能在416块进行，但填充行不是放置在共享缓存中。  If the request is determined to be not allowed to be assigned to a shared memory cache (conditional block 414), then operation 416 may be performed in the content of the filling line or the like to read and write memory requests to retrieve such as, but not on a shared line fill cache. 例如，众所周知不重用相应的数据的I/O设备160可由存储在相应的CSR中的值编程为不能在缓存未命中之后分配数据到共享缓存。 For example, it is known not to reuse the data can not be assigned to the shared cache after a cache miss value programmed I / O device 160 may be stored in the respective data corresponding to the CSR. 因此，在共享缓存中的更多的空间可用于其它源，如或多个处理器内核112或GPU170。 Thus, more space in the shared cache available for other sources, such as 112 or more processor cores or GPU170. 如果确定存储器请求允许在缓存未命中后分配共享缓存（条件判断块414)，那么存储器请求的操作可能会继续到块418,如读或写检索的填充行的内容，此外，填充行放置在共享缓存中。  If it is determined the memory request is allowed to allocate shared memory (conditional block 414) after a cache miss, then the memory request operation may proceed to 418, as the contents filled row reading or writing blocks retrieved, in addition, the filling line placed in a shared cache. 在放置到共享缓存中期间，CSR的内容可确定哪些缓存的通路是允许修改的。 During placement into the shared cache, CSR content cache may determine which paths are allowed to be modified. 例如，内核112a可能会允许修改或分配缓存的一半，如通路15至8。 For example, core 112a may be allowed to modify the cache or allocate half, such as passage 15-8. 然而，I/O设备160可能会允许修改或分配缓存的仅仅1/8,如通路5和4,。 However, I / O device 160 may be allowed to modify the cache or allocated only 1/8 as passages 4 and 5 ,. 对于已满的设置，基于LRU方案的缓存行驱离可能会在分配过程中发生。 For the full set, evictions may occur based LRU cache line program in the distribution process. 此外，如果设置是未满但用于特定的源的设备的诸如对于上例中的I/O设备160是通路5和4之类可允许的通路都满了，那么，基于LRU 计划或其它计划的缓存行驱离可能会发生在分配过程中。 Further, if the setting is less than, but for a particular device, such as a source for the example of an I / O device 160 is a passage of classes 4 and 5 can allow the passage are full, then the program or other programs based on LRU the cache line evictions may occur during distribution. 上述方法也可用于某些指定的缓存行的加载和锁定或阻止被驱逐。  The method can also be used for loading and locking or blocking expelled some of the specified cache line. 这些锁定的行可以被禁止被所有源分配。 These lock lines can be prohibited from being assigned all sources. 这些锁定的行可被用来作为伪随机存取存储器（RAM)。 These locks can be used as line pseudo-random access memory (RAM). 这样的机制可随后用于启动基本输入输出软件（BIOS)在系统启动期间加载和锁定缓存的部分。 Such mechanisms may then be used to initiate a basic input output software (BIOS) and loads the cache locking portion during system startup. 例如，这样的机制可以用来在系统中的动态随机存取存储器（DRAM)尚未初始化时让BIOS 使用诸如共享缓存118或其它的缓存用于一般的储存。 For example, such a mechanism may be used in a dynamic random access memory system (DRAM) yet allow the BIOS initialization using the shared cache 118 or other such buffer used for general storage. 这一功能可减少系统启动所需的时间。 This feature reduces the time required to start the system. BIOS现在可以利用缓存中的某些部分作为存储数据结构而不实其它源驱除这些锁定的行。  BIOS can now utilize cache certain portions of data stored as a solid structure without other sources of these locking purge lines. 例如，这样的缓存通道锁定方案可确保BIOS存储数据的行不会在系统执行诸如从诸如可编程只读存储器（PROM)图像之类的I/O空间来的引导代码的读操作之类到缓存行的其它填充请求时被驱逐。 For example, such a scheme ensures that the cache line locking channel BIOS data is not stored in the system boot code execution, such as from a programmable read only memory (PROM) or the like of the image I / O space read operation or the like to the buffer when other filling expulsion request line. 技术领域的人员修改以获得替代的实施方式。 Person skilled in the modified embodiment to obtain an alternative embodiment. 此外，在此实施方式中的步骤是按顺序示出的。 Further, in this embodiment, the step is sequentially illustrated. 然而，在另一实施方式中，某些步骤可以不同于所示的顺序出现，有些步骤可同时执行， 某些步骤可与其它步骤结合起来，一些步骤可省略。 However, in another embodiment, certain steps may occur out of the order shown, some steps may be performed concurrently, some steps may be combined with other steps, some steps may be omitted. 在所示的实施方式中，用于计算系统的安装软件是在块502中进行。 , The installation software for the computing system is carried out in block 502 in the embodiment illustrated. 在块504,系统中的一个或多个CSR可能会编程为用于存储表示允许分配共享缓存中的具体通路的值。  At block 504, one or more of the system may be programmed CSR represents a particular path allows allocating shared cache for storing values. 例如，与编码值"〇〇〇〇〇"对应的表2的表项1可用于允许分配到16 通路集关联的共享缓存的通路1和0。 For example, the encoded value "〇〇〇〇〇" entry in Table 2 corresponding to the 1 to 16 may be assigned for allowing passage of the set associative cache shared channel 0 and 1. 共享缓存的总大小的1/8大小的区可能会以这种方式映射并作为伪RAM使用。 1/8 the size of the total size of the region may be mapped shared cache and RAM used as a dummy in this manner. 接下来，在块506,诸如BLOS之类安装软件可能初始化和共享缓存的缓存行具有相同的大小和队列的伪RAM内的位置。  Next, at block 506, such software may be installed like BLOS initialization and shared cache and a cache line having a position within the queue RAM dummy same size. 要执行这个初始化，BIOS可能要映射缓存行到目前尚未被初始化的回写DRAM，并发出加负或读操作到这个缓存行位置的至少1字节。 To perform this initialization, BIOS may cache line to be mapped to the current DRAM write back has not been initialized, and issued a minus or a read operation to the cache line position of at least 1 byte. 作为此负载的一部分发出的产生的填充事务可能被发送到具有未初始化的DRAM的禁用的存储器控制器。 It filling generated as part of this transaction emitted load may be sent to the DRAM having uninitialized memory controller is disabled. 存储器控制器可能会返回全是逻辑〇的数据值，并完成待填充的请求。 The memory controller may return all data values ​​of the logic square, and completes the request to be filled. 然后，这一数据被分配到共享缓存。 Then, this data is assigned to the shared cache. 只有在这个缓存行已被分配到共享缓存之后，BIOS才可在之后执行到这个缓存行的存储或写操作。 Only after this cache line has been assigned to the shared cache, BIOS is available after the execution of this cache line to store or write operation. 如果共享缓存的终端尚未达到（条件判断块508)，如与允许的通路相应的上次未初始化的缓存行正在进行初始化，那么方法500的控制流返回到块506。  If the shared memory has not reached the terminal (conditional block 508), such as to allow the passage of the last uninitialized corresponding cache line is initializing, the control method 500 flow returns to block 506. 否则，共享缓存的另一允许的通路可能被以类似的方式初始化（条件判断块510)。 Otherwise, another shared cache may be initialized to allow the passage in a similar manner (conditional block 510). 如果共享缓存的所有允许的通路已经初始化（条件判断块510)，那么在块512,诸如基本输入输出系统（BIOS)之类安装软件可将所需的信息存储到这些初始化区。 If all shared caches allow passage initialized (conditional block 510), then at block 512, such as a basic input output system (BIOS) or the like may be required to install the software information is stored in the initialization area. 在块514,通过禁止对以前用于分配的相同的通路进行分配，这些修改的行可能会被锁定到共享缓存。 At block 514, by prohibiting the same path previously allocated for distribution, these modifications may be locked to the line shared cache. 例如，通过设置相应的CSR以保持存储在表2的表项17中的值"10000"，现在通路1和0可以被禁用于分配。 For example, by setting the corresponding value stored in the CSR to maintain the entries in Table 2 17 "10000", 1 and 0 can now banned passage for dispensing. 现在，避免通路1和〇被其它源分配或被较新的填充事务驱逐。 Now, to avoid expulsion square passage and a dispensing or other sources newer fill transaction. 此外，上述分配方法可用于在缓存仍然操作的同时通过逐步减少缓存的大小来将部分或所有缓存置于掉电的状态下。  Further, the assignment methods can be used while still operating under the buffer by gradually reducing the size of the cache to some or all cached in power down state. 期望系统层次电源管理对部分缓存关闭或加闸电源(gatepower)而同时保持其它部分的功能。 Desired system level power management section adding gates or buffer off the power supply (gatepower) while maintaining the functions of the other portions. 否则，当缓存停止了所有的功能而某些部分掉电且缓存行的驱离和重载发生时，降低系统性能的延迟可能会引出以避免锯齿问题。 Otherwise, when the cache is stopped all the features and some partial power-down and expelled the cache line and heavy occurs, reduce system performance may lead to delays in order to avoid aliasing problems. 当缓存继续操作时通过掉电机制逐步减少缓存的大小创建了几个具有不同的性能和功耗特点的中间缓存的睡眠状态。 When the cache to continue to gradually reduce the size of the cache by a power failure mechanisms created several intermediate caches have different performance characteristics and power sleep state. 监控缓存的系统电源管理硬件可以使用这些不同的状态以在应用性能和电池寿命之间进行权衡。 Monitor power management hardware cache system can use different states to trade-off between performance and battery life applications. 此外，这样的掉电序列可用于来自制造商失败的缓存的损失。 Further, such sequences may be used to power-down loss from the manufacturers failed cache. 这样的缓存可分层次或为一半并以较低的价格出售。 Such a cache can be divided into levels or half and sold at a lower price. 通过诸如表1和表2中指定的值之类可编程的编码值、在集关联缓存内进行用于分配特定通路的允许和禁止可用于逐步减小缓存的大小，而使缓存仍然操作并最终减去缓存的大小。 , can be used to enable and disable gradually reduce the size of the cache, the cache allocation for a particular passage is still within the set associative cache, such as programmable code values ​​in Tables 1 and 2 specified value or the like operation and ultimately minus cache size. 例如，从诸如上面的表2表项8之类的编码值"00111"，其中16通路集关联缓存中的所有通路被启用分配，可能逐步过渡到不断降低缓存的大小的其它编码值，如"10000"（使能14个通路的表项17)、" 10001"（使能12个通路的表项18)、"01011"（使能8个通路的表项12)、"01101 "（使能4个通路的表项14,）、"01110 "（使能2个通路的表项15)和最后是" 10111 "（禁止所有的通路的表项24)。 For example, from the encoded values ​​such as Table 2 above entry 8 like "00111", wherein all channels 16 via set associative cache is enabled assigned, may gradually transition to continuously reduce other encoded value of the size of the cache, such as " 10000 "(enable 14 via entry 17)," 10001 "(enable 12 entry passage 18)," 01011 "(so that the entry can eight path 12)," 01101 "(enable 4 passage entries 14,), "01110" (enable entry path 15 can be two) and finally "10111" (prohibited entries of all of the passages 24). 上述的进展可能会比通过将相应的地址的索引部分减少一位的直接使缓存减半更有效。  The progress may be higher than the corresponding index part by reducing a direct address to make more efficient cache halved. 此外，通过减少地址的索引部分以减半缓存可将通常置于掉电一半的缓存中的其它地址反放入上电的大小减小的缓存中。 Further, by decreasing the index portion of the address to the cache may be halved usually placed down the other half of the buffer address counter into the cache on power is reduced in size. 从而，这样的情景产生当后来确定缓存需要再增加大小时的额外的驱离这些地址的工作。 Thus, such a scenario is generated when the cache is later determined need to increase the size of the additional expelled these addresses work. 参考图6,图6示出了用于高效的缓存扇区掉电序列的方法。  Referring to FIG. 6, FIG. 6 illustrates a method for efficiently caching sectors power-down sequence. 与方法400和500 相同，诸如方法600之类其它方法可以为本领域技术人员修改，以获得替代的实施方式。 400 and 500 with the same methods, such as method 600 or the like may be other methods known to those skilled in modified to obtain alternative embodiment. 此夕卜，在此实施方式中的步骤是按顺序示出的。 Bu Xi this step in this embodiment is shown sequentially. 然而，在另一实施方式中，某些步骤可以不同于所示的顺序出现，有些步骤可同时执行，某些步骤可与其它步骤结合起来，一些步骤可省略。 However, in another embodiment, certain steps may occur out of the order shown, some steps may be performed concurrently, some steps may be combined with other steps, some steps may be omitted. 在所示的实施方式中，用于确定共享资源的哪些子部分被将进入的操作启用或禁用分配的初始分配设置在块602。 In the embodiment shown, which sub-section for determining a shared resource allocation is enabled or disabled into the initial allocation operation at block 602 is provided. 例如，在诸如表2之类编码表中定义的最初编码值可存储在适当的CSR中。 For example, the originally encoded values ​​defined in Table 2 or the like, such as a code table may be stored in the CSR appropriate. 一个或多个计算机程序或软件应用程序在块604中执行。  one or more computer programs or software applications executing in block 604. 这些应用程序可以由一个或多个处理器内核112、图形处理单元（GPU) 170、1/0设备160或其它执行。 These applications can 112, a graphics processing unit (GPU) 170,1 / 0 device 160 or executed by one or more other processor cores. 执行软件应用程序的这些实体每一个可能存取诸如数据缓存之类共享资源。 Execution of software applications each of these entities may access the data cache or the like, such as a shared resource. 在一实施方式中，可共享的资源可以是诸如图2的共享高速缓冲存储器子系统118之类共享的L2或L3缓存。 In one embodiment, the shared resources may be such as in FIG shared cache memory subsystem 118 or the like 2 shared L2 or L3 cache. 由处理器内核112对共享缓存的存取或存储器请求可能比来自诸如GPU170或I/O设备160之类其它源的存取对系统性能有更大的影响。 Requested by the processor cores 112 pairs or access to shared cache memory may have a greater impact on system performance over such GPU170 access from other sources like 160 or I / O devices. 当掉电的条件被确定为存在（条件判断块606)时，诸如在诸如表2之类表中定义的初始编码值之类在一个或多个CSR中存储的值可能会在块608改变。  When the power-down condition is determined to be (conditional block 606) is present, such as in Table 2 or the like as defined in the table or the like in an initial value of encoding one or more values ​​stored in the CSR may block 608 change. 当从诸如图1的处理节点110之类处理系统的内部或外部到缓存控制器的要进入的信号表明某些缓存扇区应掉电时，掉电的条件可能存在。 When internal or external such as processing node 110 of FIG. 1 processing system according to the cache controller to indicate that the incoming signal when certain cache sector to be down, down conditions may exist. 在一实施方式中，缓存控制器对应于处理系统内的共享缓存。 In one embodiment, the cache controller corresponding to a shared cache in a processing system. 若干掉电机制可被本领域技术人员用于提供这样的迹象。 Several mechanisms can be powered down skilled in the art for providing such a sign. 到缓存控制器或其它逻辑的传入的掉电指示可被用来确定由CSR存储的编码值逐步过渡的方式。  passed down to the cache controller or other logic may be used to determine the indication by the coding mode value stored in CSR gradual transition. 受影响的CSR可包括用于特定的源的各自的CSR、与整个CSR对应的单一主缓存、组合或其它源。 Affected CSR may include respective CSR for a particular source, the entire CSR corresponding to a single primary cache, or a combination of other sources. 在一实施方式中，缓存控制器改变当前存储的编码值，以通过通路掩蔽禁用用于分配的缓存的特定扇区。 In one embodiment, the cache controller to change the current encoded stored value to a particular sector by masking passage for dispensing the disable caching. 在一实施方式中，用于整个缓存的单一主CSR可能存在。 In one embodiment, a single main CSR may be present in the entire cache. 对于特定的源，要用于存储器请求分配的缓存的可允许的通路可能由以主CSR和源特定的CSR存储的值作为输入的逻辑确定。 For a particular source, a request to a memory buffer allocated to allow the passage may be a value determined by the primary source specific CSR CSR and stored as logical inputs. 对掉电或上电的序列而言，单一主CSR可能只能以每一个CSR作为每一个源进行修改。 Power-down sequence or power, it may only be a single main CSR CSR as per a modified each source. 因此，如上所述，只有单一的过渡可利用（如"00111"到"10000"到"10001"等）。 Thus, as described above, may utilize only a single transition (e.g., "00111" to "10000" to "10001", etc.). 在另一实施方式中，单独的过渡可用于系统中的每一个CSR。 In another embodiment, the transition may be a separate system for each of a CSR. 在块610,缓存控制器通过缓存的集转换，如一对一或如果支持电路存在就在同一时间存取多个索引和相应集来存取每一可能的索引，并刷新缓存的被禁用的通路的内容。  At block 610, the cache controller through the cache set conversion, such as if one or the support circuitry will be present at the same time accessed and the corresponding set of a plurality of indexes for each possible index to access and refresh the cached disabled access the content. 在这一步骤期间，缓存本身仍起作用，仍然处理存储器请求。 During this step, the cache itself is still functioning, still processing memory requests. 在一实施方式中，当冲洗完成后，缓存控制器阻止给块612中的整个缓存的存储器请求的处理。  In one embodiment, when the flushing is completed, the cache controller to the processing block 612 to prevent the entire cache memory request. 在另一实施方式中，当冲洗完成后，缓存控制器模块只阻止存储器请求到块612中的缓存的禁用的缓存的通路。 In another embodiment, when the flushing is completed, the cache controller module only block the request to the cache memory block 612 to disable the cache passage. 因此，存储器请求存取可以有选择性地封锁，只有禁用的通路或存储器请求存取可能被整个缓存封锁。 Thus, the memory access request can be selectively blocked, or only disabling memory access request for access to the entire cache may be blocked. 接着，在块614,缓存控制器传送掉电通信到缓存阵列。 Next, at block 614, the cache controller transmits a communication down to the cache array. 例如，可从缓存控制器向缓存阵列发出指令以通过通路屏蔽使缓存的目标扇区掉电。 For example, instructions may be issued so that the target sector cache passage down through the shield from the cache controller to the cache array. 掉电的过程可能需要几个时钟周期，这在掉电请求时可能是已知或未知的。 Down process may take several clock cycles, which may be known or unknown at the time of power-down request. 当提供迹象表明缓存阵列的掉电完成（条件判断块616)时，缓存控制器重新启用存储器请求以存取块618中的缓存。 When the indications provided down the cache array is completed (condition decision block 616), the cache controller to re-enable the memory access request 618 in the cache block. 如果整个缓存被事先禁用存储器请求存取，这一步就可能会重新启用整个缓存的存取。 If the entire cache is disabled prior memory access request, this step could be to re-enable the entire cache access. 否则，如果事前只有禁用缓存通路的存储器请求被防止存取，这一步就可以跳过。 Otherwise, if caching is disabled only advance path memory access request is prevented, this step can be skipped. 方法600的控制流然后返回到只有启用的缓存通路才在执行计算机程序的过程中存取的块604。 The method of controlling the flow then returns to block 600 to enable only the passage of only the cache access during the execution of a computer program 604. 现在翻到图7,图7示出了用于高效的缓存扇区上电序列的方法。  Turning now to FIG. 7, FIG. 7 illustrates a method for efficiently sector caching on a power-up sequence. 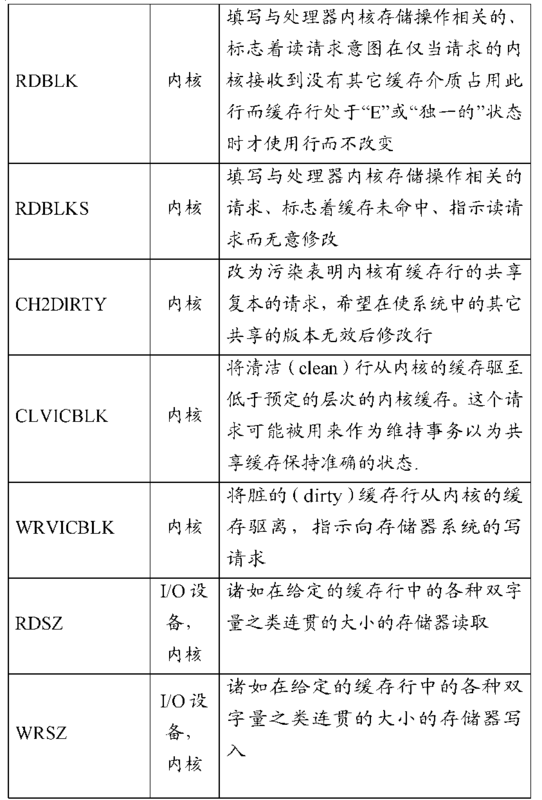 一个或多个计算机程序或软件应用程序在块702执行。 One or more computer programs or software applications executing in block 702. 这些应用程序可以由一个或多个处理器内核112、图形处理单元（GPU) 170、I/O设备160或其它执行。 These applications can 112, a graphics processing unit (GPU) 170, I / O device 160 or executed by one or more other processor cores. 执行软件应用程序的这些实体每一个都可能存取诸如数据缓存之类共享资源。 Execution of software applications for each of these entities may access the data cache and the like, such as a shared resource. 这一共享缓存可能已经有某些扇区或部分是之前用诸如与方法600类似的方法掉电的。 This shared cache may already have some or a portion of a sector, such as before and by a method similar to the method 600 of power failure. 当上电条件由诸如相应的逻辑确定为存在或接收到上电通知（条件判断块704) 时，在一实施方式中，缓存控制器阻止给块706中的整个缓存的存储器请求的处理。  When the power-up condition determined by the corresponding logic, such as the presence or the power received notification (condition decision block 704), in one embodiment, the cache controller to stop the entire cache block 706 of memory requests deal with. 在另一实施方式中，当上电条件确定为存在时，缓存控制器可能只继续阻止存储器请求到缓存的禁用的（之前掉电的）缓存通路。 In another embodiment, the condition is determined when power is present, the cache controller may continue to block only memory request to disable caching of (before power-down) of the buffer path. 因此，对整个缓存，存储器请求存取可能会继续有选择地只阻止禁用的通路或禁用的存储器请求存取。 Thus, for the entire cache, memory access requests may continue to selectively prevent only the passage or disabled disabling memory access requests. 在一实施方式中，要上电的缓存扇区可能是该缓存的所有被关闭（之前掉电）的缓存通路。 In one embodiment, the cache sector to the power of the cache may be all closed (before the power failure), the cache access. 在另一实施方式中，要上电的缓存扇区可以由在用于特定的源的各自的CSR、与整个缓存对应的单一主CSR、组合或其它中存储的编码值确定。 In another embodiment, the cache sector to the power of each CSR may be for a particular source, and the entire cache corresponding to the single main CSR, or other combinations of coded values ​​determined by the stored. 接着，在块708,缓存控制器传送上电通信到缓存阵列。  Next, at block 708, the cache controller in electrical communication with the transfer to the cache array. 例如，指令可从缓存控制器发到缓存阵列，以使缓存的目标扇区或部分上电。 For example, instructions may be sent from the cache controller to the cache array, so that the target sector or a part of cached power. 再次，目标扇区可能会由存储在一个或多个CSR中的编码值确定。 Again, the target sector may be determined by the encoder or a plurality of values ​​stored in the CSR. 上电的过程可能需要几个时钟周期，这在上电请求的时候可能是已知或未知的。 On power-up may take several clock cycles, which may be known or unknown at the time of power-up request. 在一实施方式中，缓存阵列使用唤醒晶体管驱动新扇区的节点和线路由到完全的逻辑0和1的值。 In one embodiment, the cache array the wake-up transistor driving line and the new node by the sector to a full logic values ​​0 and 1. 一旦这一步完成后，阵列就打开全功率晶体管。 Once this is done, the array will turn on full power transistor. 然后执行在其中设定内部阻塞位的内部初始化。 Internal execution then set the blocking position in which the inner initialization. 当提供了缓存阵列的上电完成的指示（条件判断块710)时，如果对整个缓存的存取是以前禁用的，缓存控制器就重新使存储器请求存取在块712中的缓存。  When the cache array provides a power-up indication (conditional block 710), if the access to the entire cache is previously disabled, the cache controller causes the memory request to re-access the cache in block 712 . 然而，同时，缓存控制器可以利用缓存的通路屏蔽以防止存储器请求存取最近启用的扇区。 However, at the same time, the cache controller can use the cache memory requests via shielded to prevent access to the sector recently opened. 在另一实施方式中，缓存可能会更新状态信息以表明最近启用的扇区是无效的。 In another embodiment, the cache may update status information to indicate that the recently launched sector is invalid. 在替代实施方式中，通路屏蔽和状态信息都可能被用来防止存储器请求存取缓存的最近启用的扇区、而同时到以前启用的扇区的存取恢复。 In an alternative embodiment, the passageway and the shielding state information may be used to prevent sector enabled recently accessed cache memory request while previous enabled to access the recovery sector. 在块714,关于最近启用的扇区或缓存通路，状态信息初始化，缓存检查重新启用。  At block 714, on a sector or cache recently opened path, initialize status information, checks the cache re-enabled. 在一实施方式中，缓存控制器使用状态机通过直接的方式顺序通过最近启用的缓存的通路，相应的有效位被复位。 In one embodiment, the cache controller state machine by way of a direct sequence by caching recently opened path, the corresponding valid bit is reset. 此外，命中和奇偶校验逻辑被重新启用。 In addition, the hit and parity logic is re-enabled. 最初的缓存一致性协议状态可设置为无效状态。 The initial state cache coherency protocol can be set to an invalid state. 再次，与这一步并行，存储器请求到缓存的其它扇区的存取发生。 Again, in parallel with this step, the memory cache requests from other sectors to access occurs. 一旦块714中的步骤完成，缓存阵列就可能会向缓存控制器发送相应的指示。  Once the step of block 714 is completed, the cache array may send appropriate instructions to cache controller. 接着，在块716,现在对最近启用的扇区启用缓存通路屏蔽，诸如在表（如表2)中定义的初始编码值之类在一个或多个CSR中存储的值可能会在块716中改变或重新编程。 Next, at block 716, the shield is now enabled via the sector cache recently opened, such as in the table (Table 2) defined in the initial code value or the like in one or more values ​​stored in the CSR may be in block 716 changing or reprogramming. 请注意，到最近启用的缓存通路的初始存取可能会遇到缓存未命中，随后的分配可能基于在一个或多个CSR中存储的编码值的至少一部分而确定。 Note that initial access to the nearest caching enabled passage may experience a cache miss, a subsequent allocation may be determined based on at least a portion of the coded value stored in one or more of the CSR. 对最近启用的缓存的通路，最初的缓存未命中可能不需要驱逐无效数据。 Cache of recently opened the path, the first cache miss may not require the expulsion of invalid data. 虽然已经相当详细地说明了上述实施方式，但对本领域的技术人员而言，一旦充分理解上述公开内容，大量的变化和修改将变得很明显。  While there has been considerable described in detail above embodiment, but those skilled in the art once the above disclosure is fully appreciated, numerous variations and modifications will become apparent. 期望对下面的权利要求进行解释， 以包含所有这样的变化和修改。 Expect the following claims be interpreted to encompass all such variations and modifications. 1. 一种计算系统，其包括： 第一源，其被配置为生成存储器请求； 与所述第一源不同的第二源，其被配置为生成存储器请求； 共享缓存，其包括由一或多个条目组成的第一部分和由一或多个条目组成的与所述第一部分不同的第二部分；和共享缓存控制器，其耦合到所述共享缓存； 其中共享缓存控制器配置为： 确定所述第一部分被允许具有由所述第一源分配而不是由所述第二源分配的数据；和确定所述第二部分被允许具有由所述第二源分配而不是由所述第一源分配的数据； 基于确认所述第一源或者所述第二源为包括相应存储器请求和下面中的至少一个的命令的源来执行所述确定：所述相应存储器请求的命令类型和提示位，所述提示位是由所述源发出的所述命令的一部分但却不同于所述源的标识； 其中，存储在所述第一部分或者所述第二部分中的 1. A computing system, comprising: a first source configured to generate a memory request; a second source different from the first source, which is configured to generate a memory request; shared cache, which comprises one or a first portion and a second portion different from the first portion by one or more of a plurality of entries consisting of entries thereof; and a shared cache controller coupled to said shared cache; wherein the shared cache controller is configured to: determine the first portion is allowed to have a first assigned by the data source, rather than by said second source distribution; and determining the second portion is allowed to have assigned by said second source and not by the first source allocation data; based on the confirmation of the first source or said second source comprises a respective memory requests and the source of at least one of the following command to execute the determination: the respective memory request command type bits and tips the tips of the bits are sent by the source but part of the command is different from the identifier of the source; wherein, stored in said first portion or said second portion 数据能够被所述第一源或者所述第二源命中用于读或写访问。 Data can be the first source or said second source hits for read or write access. 2. 如权利要求1所述的计算系统，其中在所述共享缓存继续运作时，响应于接到掉电通知，所述共享缓存控制器进一步被配置为： 确定随后所述第一部分不允许具有由任何源分配的数据； 将内容冲洗到所述第一部分的较低层次的存储器； 阻止存储器请求到所述第一部分；和为所述第一部分传送掉电通知到所述共享缓存。 2. The computing system according to claim 1, wherein when said shared cache continues to operate, power down in response to receiving the notification, the shared cache controller is further configured to: determine subsequently the first portion having allowed any source of data assigned; low-level content to flush the first portion of memory; a memory request to prevent the first portion; and transmitting a notification to power down the first portion of the shared cache. 3. 如权利要求1所述的计算系统，其进一步包括将基本输入输出软件所利用的系统设置信息存储到所述共享缓存的确定为不允许具有由任何源分配的数据的部分中。 The computing system according to claim 1, further comprising a basic input output system software that is utilized to store the setting information determining the shared cache that does not allow any source having a portion allocated data. 4. 如权利要求1所述的计算系统，其中所述第一源和所述第二源各自是下面中的至少一个：处理器内核、图形处理单兀和输入/输出设备。 The computing system as claimed in claim 1, wherein said first source and said second source is at least one of each of the following: a processor core, a graphics processing unit Wu and input / output devices. 5. 如权利要求4所述的计算系统，其中所述共享缓存控制器进一步配置为确定所述第一部分被允许具有由多个源的一个且仅一个源所分配的数据。 5. The computing system of claim 4, wherein said cache controller is further configured to share only one data source to determine the allocated portion is allowed to have a first and a plurality of sources. 6. 如权利要求5所述的计算系统，其进一步包括耦合到共享缓存控制器的一或多个配置和状态寄存器，用来存储用于所述第一部分和所述第二部分的所述确定的编码值。 6. The computing system of claim 5, further comprising a plurality of or coupled to a shared cache configuration and status registers in the controller, for storing said first portion and said second portion is determined the encoded value. 7. 如权利要求6所述的计算系统，其中所述共享缓存是集关联缓存，且所述第一部分和所述第二部分对应于至少一个缓存通路。 7. The computing system according to claim 6, wherein said set associative cache is a shared cache, and said first portion and said second portion corresponds to at least a cache access. 8. -种用于计算系统的共享高速缓冲存储器中的数据分配的方法，其包括： 由第一源生成存储器请求； 由与所述第一源不同的第二源生成存储器请求； 确定共享缓存的包括一或多个条目的第一部分被允许具有由所述第一源分配而不是由所述第二源分配的数据；和确定所述共享缓存的包括一或多个条目的第二部分被允许具有由所述第二源分配而不是由所述第一源分配的数据； 基于确认所述第一源或者所述第二源为包括相应存储器请求和下面中的至少一个的命令的源来执行所述确定：所述相应存储器请求的命令类型和提示位，所述提示位是由所述源发出的所述命令的一部分但却不同于所述源的标识； 其中，存储在所述第一部分或者所述第二部分中的数据能够被所述第一源或者所述第二源命中用于读或写访问。 8. - The method of allocation of data types for shared cache memory in a computing system, comprising: a first source generating a memory request; requested by the first source to generate a second source different from the memory; determining shared cache It includes a plurality of entries or is allowed to have a first portion allocated by the first data source and not by the second source distribution; and determining the shared buffer includes a plurality of entries or the second portion allowing the second source having a data allocation is not allocated by said first source; source based on the confirmation of the first or the second source is a respective memory request includes a source and at least one of the following commands to performing the determining: the respective memory request command type bits and tips, the portion of the prompt identification bits are sent by the source but is different from the command source; wherein stored in the first data portion or the second portion can be the first source or said second source hits for read or write access. 9. 如权利要求8所述的方法，其响应于接到掉电通知，进一步包括： 确定随后所述第一部分不允许具有由任何源分配的数据； 将内容冲洗到所述第一部分的较低层次的存储器； 阻止存储器请求到所述第一部分；和为所述第一部分传送掉电通知到所述共享缓存。 9. The method as claimed in claim 8, in response to receiving the power down notification, further comprising: determining a first portion of the subsequent data has not allowed by the allocation of any source; flush to the lower content of the first portion levels of memory; a memory request to prevent the first portion; and transmitting a notification to said first portion down to the shared cache. 10. 如权利要求8所述的方法，其将基本输入输出软件所利用的系统设置信息存储到禁止被多个源的每一个源存取的所述共享条目的一或多个条目中。 10. The method according to claim 8, which is the basic input output system software that is utilized to store setting information of said one or more entries each of multiple sources forbid access to a shared source of entry. 11. 如权利要求8所述的方法，其中所述第一源和所述第二源各自是下面中的至少一个：处理器内核、图形处理单元和输入/输出设备。 11. The method according to claim 8, wherein said first source and said second source is at least one of each of the following: a processor core, a graphics processing unit and input / output devices. 12. 如权利要求11所述的方法，其进一步包括确定所述第一部分被允许具有由多个源的一个且仅一个源所分配的数据。 12. The method as claimed in claim 11, further comprising determining that the first portion is allowed to have one and only one data source is assigned by a plurality of sources. 13. 如权利要求12所述的方法，其进一步包括将编码值存储到一或多个配置和状态寄存器中，以用于所述第一部分和所述第二部分的所述确定。 13. The method of claim 12, further comprising encoding one or more values ​​stored in the configuration and status registers in order for the first portion and the second portion is determined. 14. 如权利要求13所述的方法，其中所述共享缓存是集关联缓存，且所述第一部分和所述第二部分对应于至少一个缓存通路。 14. The method according to claim 13, wherein said set associative cache is a shared cache, and said first portion and said second portion corresponds to at least a cache access. 15. -种共享缓存控制器，其包括： 第一接口，其耦合到包括由一或多个条目组成的第一部分和由一或多个条目组成的与所述第一部分不同的第二部分的共享缓存阵列； 第二接口，其配置为接收来自至少第一源和与所述第一源不同的第二源的存储器请求； 控制单兀；和其中，所述控制单元配置为： 确定所述第一部分被允许具有由所述第一源分配而不是由所述第二源分配的数据；和确定所述第二部分被允许具有由所述第二源分配而不是由所述第一源分配的数据； 基于确认所述第一源或者所述第二源为包括相应存储器请求和下面中的至少一个的命令的源来执行所述确定：所述相应存储器请求的命令类型和提示位，所述提示位是由所述源发出的所述命令的一部分但却不同于所述源的标识； 其中，存储在所述第一部分或者所述第二部分中的数据能够被所 15. - Species shared cache controller, comprising: a first interface coupled to the first portion and a second portion different from the first portion by one or more entries of one or more entries comprising a composition of shared cache array; a second interface, configured to receive at least a first memory from a source different from the first source and a second source of the request; Wu control unit; and wherein said control unit is configured to: determine the It is allowed to have a first portion allocated by the first data source and not by the second source distribution; and determining the second portion is allowed to have assigned by the second source is not assigned by the first source data; acknowledgment based on the first source or said second source comprises a respective memory requests and the source of at least one of the following command to execute the determination: the respective memory request command type bits and tips, the Tip said bit is part of the command sent by the source but is different from the source identifier; wherein data stored in said first portion or said second portion is capable of being 第一源或者所述第二源命中用于读或写访问。 A first source or said second source hits for read or write access. 16. 如权利要求15所述的共享缓存控制器，其中在所述共享缓存继续运作时，响应于接到掉电通知，所述控制单元进一步被配置为： 确定随后所述第一部分不允许具有由任何源分配的数据； 将内容冲洗到所述第一部分的较低层次的存储器； 阻止存储器请求到所述第一部分；和为所述第一部分传送掉电通知到所述共享缓存。 16. The shared cache controller according to claim 15, wherein when said shared cache continues to operate, power down in response to receiving the notification, the control unit is further configured to: determine subsequently the first portion having allowed any source of data assigned; low-level content to flush the first portion of memory; a memory request to prevent the first portion; and transmitting a notification to power down the first portion of the shared cache. 17. 如权利要求15所述的共享缓存控制器，其进一步包括将基本输入输出软件所利用的系统设置信息存储到所述共享缓存的确定为不允许具有由任何源分配的数据的部分中。 Shared cache controller as claimed in claim 15, further comprising a basic input output system software that is utilized to determine the setting information stored in the shared cache to disallow any source having a portion allocated data.